Needless to say, getting user feedback is important to create amazing mobile apps. Thankfully, there are various software tools available today that can be used for collecting user feedback and understanding their needs. Let’s look at a comparison of a look at a range of tools which you can use for collecting user feedback on your app. This is a cloud-based customer feedback tool. The tool helps the businesses in making well-informed decisions by providing quick insights on customer feedback and analytics. The Voice of the Customer (VoC) section of this tool helps the users submit their feedback and the results are then reported online. Clarabridge works more as a customer experience tool that aims to collate user feedback from different sources. Combined with the powers of text and sentiment analysis, emotion detection and the likes, Clarabridge can help you customise and modify your mobile application to suit the users better. 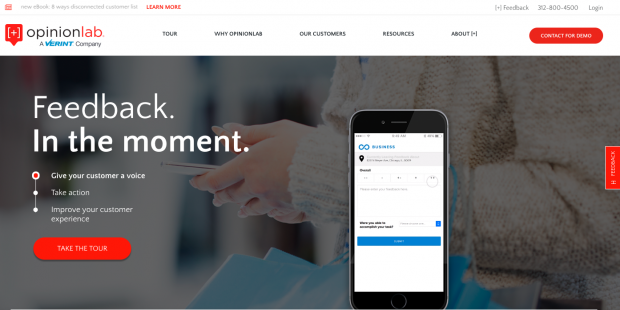 Qualtrics has established itself as a survey tool in the corporate world. In this regard, it works as a great software tool to collect user feedback. The results of the feedback can be observed in the trend vs. target analytical chart on the dashboard. This is one rather useful platform which can be used by users to submit feedback or opinions about the mobile application. The tool was initially launched as a website feedback tool, but it now focuses on application feedback as well. In fact, this tool allows you to collate feedback based on individual pages of the application. This software tool comes with a bit of a difference. 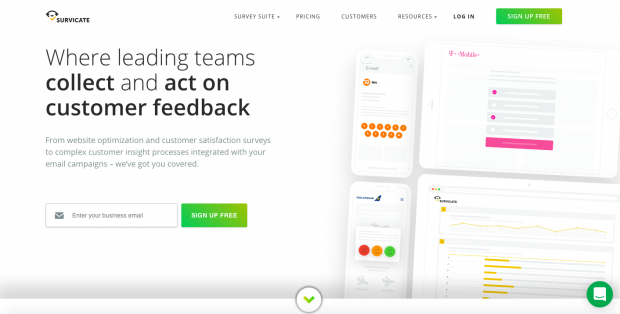 It works more like a survey tool to collect user feedback. There are a lot of existing feedback survey templates to choose from. Besides, the results can be analysed in CSV and XLS formats. 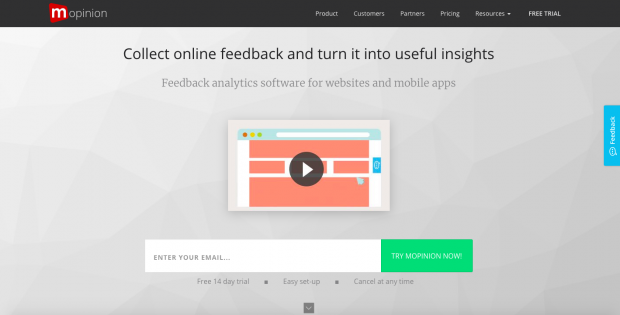 SuggestionBox is one of the best customer feedback management systems. This tool relies on collecting opinions and ideas from the users. You could place this tool as a widget on your app and you are set to go! 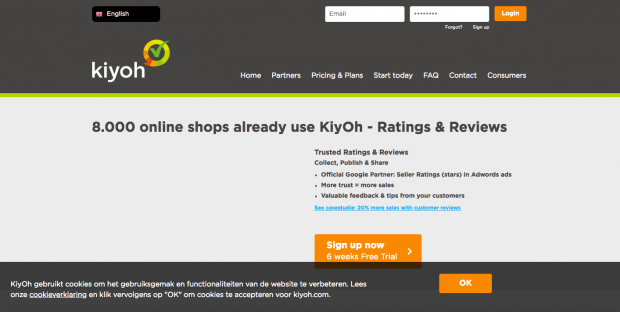 Kampyle is a user feedback tool that is focussed more on e-commerce sites and applications. The software allows you to collect individual feedback from the product pages and helps you understand what the app lacks in. Besides, the tool integrates the goodness of best analytical platforms like Google Analytics, and the likes to refine the feedback collation experience. As the name suggests, this is the next entry in our list of the best software tools for collecting user feedback. The tool allows the app owners to create feedback forms themselves. You can collect feedback in various ways like ratings, writing comments for the app, and can even ask the users to provide suggestions for improvement. Next, you can view the feedback provided by users based on your preferences. Additionally, you also have an option to view the opinions in real time in a dashboard. The SurveyMonkey is one of the most approachable tools for conducting surveys in businesses. 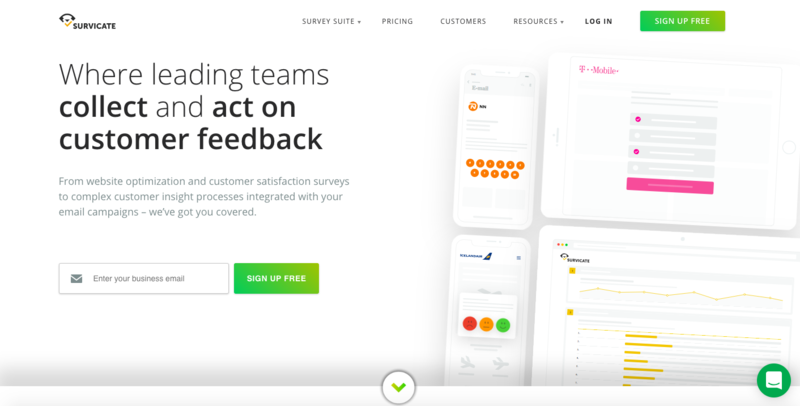 You could use this tool to gather feedback about your app from your customers or users. This functions more as a one-time feedback tool. The tool also provides a number of different survey formats, including multiple choice questions, open comments from the users and the likes. Overall, this gives the users the freedom to express their opinions in a manner most comfortable for them. This software is very similar in application to the last tool we discussed. However, SurveyGizmo proves to be more attractive and effective than SurveyMonkey, all because of the ease of use. Besides, the survey appears a lot neater and organised with this tool. With a host of features to choose from, SurveyGizmo proves to be a very effective user feedback tool for your app. A lot of businesses, both big and small-scale companies, are making use of TrustPilot to build a rapport and relationship with their clients using the app. In fact, this tool is so effective that the comments and opinions expressed in the review form may impact your Google or Bing search engine rankings. This improves your mobile app’s visibility on the internet and builds trust among users. Why is KiyOh so popular amongst businesses? For starters, this software comes at a pocket-friendly price as compared to the others. This gives the users an option to insert reviews and ratings about your application. That’s not the only benefit. The tool takes it a step further. Whenever there is a new review submitted on the tool, a notification is sent out to the app owners. Besides, the user can be contacted via the tool in order to respond to the feedback received. 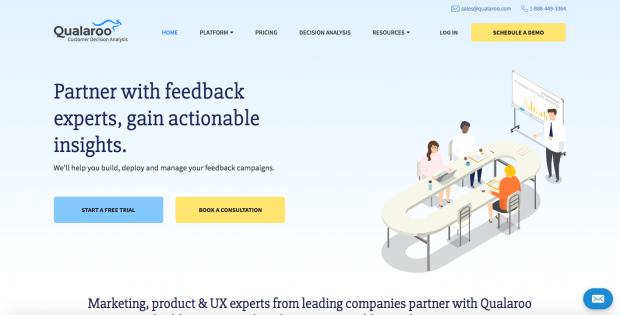 If you are looking for a high-end user feedback review software tool that can provide you with fine and detailed opinions, ReeVoo is the right choice for you. The interesting aspect about this tool is that it does not provide a review for the app in general, but makes it very specific such that the reviews are at the product-level. Your app users can express their opinions via this tool and also reach out to the owner in case of any doubts. Hotjar is yet another rather interesting feedback software tool for your app. The advantage here is that you can create heat maps with your reviews, and make use of personalised and customised feedback forms. However, proper analysis and reporting facilities are not available for this tool. This particular user feedback software tool helps you analyse the opinions and feedback. In addition, the tool and its heatmap feature also allow you to assess app visits on a regular basis. Some other features in this tool include Session Replay, Funnels, Form Analytics and the likes. The next entry in our list of the best software tools to use to get user access feedback on your app is Zarget. 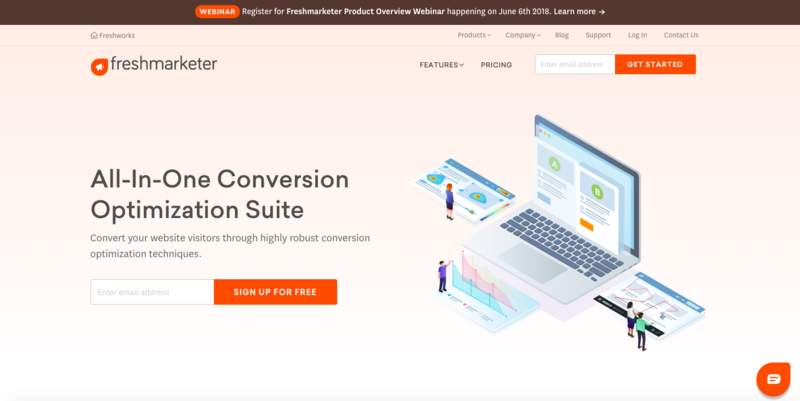 Apart from being a great customer feedback generating platform, this tool also creates heat maps, form analytics, helps in conducting A/B testing and the likes. Unlike most other tools on this list, Qualaroo is a dedicated survey and feedback tool for your app. You can receive feedback in the form of target questions, logic questions, and the likes. Since the questions asked here are very specific, as a user, you will never be exposed to the same survey twice. This feedback tool is more focussed along the lines of customer behaviour analysis. The tool helps you get an idea of where the users are concentrating on, in the application. Once you have the opinions, it becomes easier to design the app. This is a multi-purpose tool for your application. 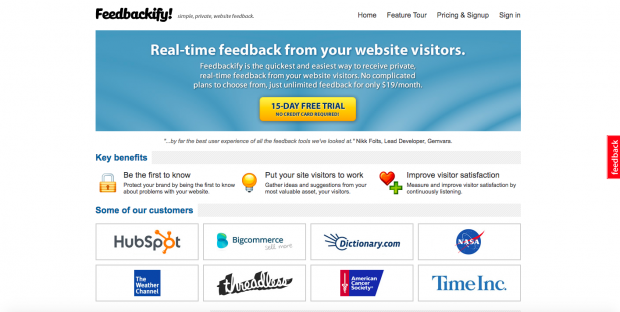 The user feedback tool is only a part of FullStory. In fact, this software is accompanied by a special ‘Omnisearch’ feature that allows you to select a part of the app and then observe the user reactions for it. This is yet another visual feedback tool for your business application. It is a wonderful combination of two tools – issue tracking and project management solution. It allows the users to report the feedback and potential issues and gives the app owners a chance to resolve them. Next up is Mopinion which is again a great user feedback software tool. However, not only does this tool help the app owners collect feedback from the app visitors, but it also lets the owners conduct an in-depth analysis. Everything is made available to the app owners on their dashboards, which can be customised to analyse text, sentiments and the likes. If you are in need of a pocket-friendly user feedback software tool for your app, UseResponse would help you a lot in the process. The tool not only helps you in collecting feedback from the app visitors, but you also get to have live chats with the users to analyse and resolve the existing issues. You can host this tool with an open-sourced code for your application. So, this brings us to the end of this article. It is important to collect feedback from your users and understand the areas which need improvement. Simply, make use of the above-mentioned tools and know your customers’ needs better. Which is your favourite pick? Or, did we miss any important software on this list? Do let us know in the comments. Let's work together to make it a success.